TheRustedChain - The Blog: What a HUNK!!! How stinkin' cute!!! 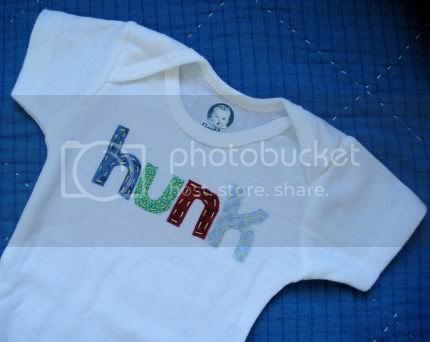 My own little hunk just may be sporting this tee soon. :) It's made by littleB on etsy. Click the picture to see her listing, and have a look around her shop. She has some adorable things! OOPs- forgot to sign my post- that was me! I know! Seriously, how cute is that? ?